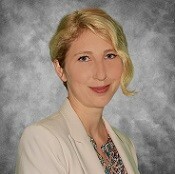 Lindsay Fuson is a board-certified Nurse Practitioner that joined the Georgia Behavioral Health Professionals group in May 2018. Lindsay possess a deep understanding of evolving the patient needs with acute and chronic disease, focused assessment skills, timely referrals, allocation of preventative services, family assistance and support initiatives. Lindsay has expertise in handling difficult patients by demonstrating patience and a caring demeanor. She obtained her Bachelor of Arts and Bachelor of Science in Nursing degrees from Emory University. Lindsay continued her studies at Emory University, and earned her Master of Science in Nursing degree where she made the Dean's list.